Circuit breakers wear down over time. They’re sensitive to regular use, extreme weather like what can be found in Minneapolis – St. Paul, as well as the regular wear and tear that comes from time. Circuit breakers are what keeps your home’s electrical panel from overloading, overheating, and causing dangerous problems like power outages, grounded wires, and electrical fires. EarlyBird Electrician knows the importance of having up-to-date circuit breakers installed in your home and employs the very best technicians in the area to help answer your calls about upgrades. We’ll make sure you get the right breaker size for your home (too big and it never trips, too small and it trips all the time), and take care of not only installation but lasting maintenance afterward. 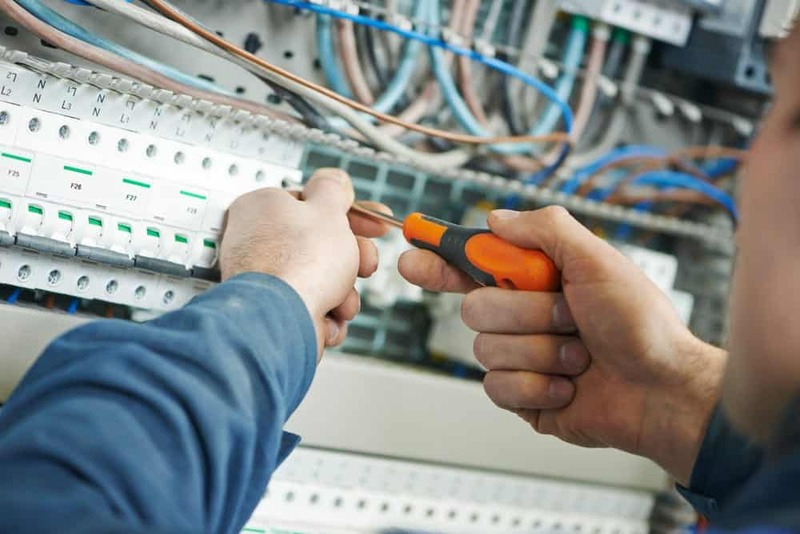 When you come to us for your circuit breaker installation needs you’ll get licensed, background checked electricians that deliver same-day service with no-surprise pricing and safety, security, and efficiency – every time, guaranteed. What are the different kinds of circuit breakers? Single-pole breakers: these protect a single energized wire, supply 120V to a circuit. Can handle 15 to 20 amps and is available in three different sizes. Double-pole breakers: these occupy two slots on a breaker panel, protect two energized wires, and can supply 120V/240V or 240V to a circuit. These are required for larger appliances.